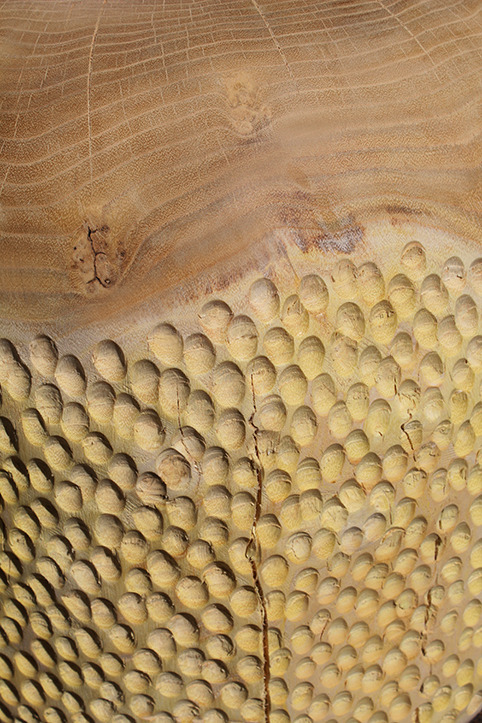 Natural cracks snaking their way through the textured surface making their way up to the pristine smooth end grain, showing all the years and rings of the tree. © Virginia Barker. All rights reserved.